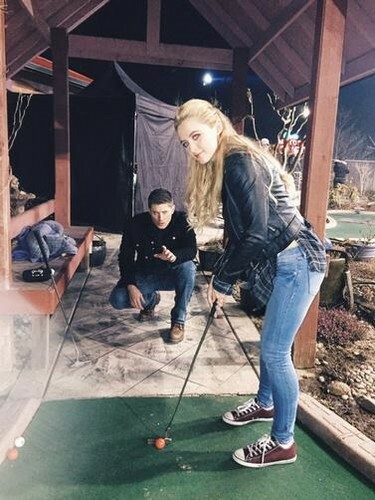 Jensena and Kathryn Amore Newton. . Wallpaper and background images in the Supernatural club tagged: photo supernatural season 10 claire kathryn love newton jensen ackles dean winchester. AU meme Supernatural | In which Sam and Dean detto yes to Lucifer and Michael.